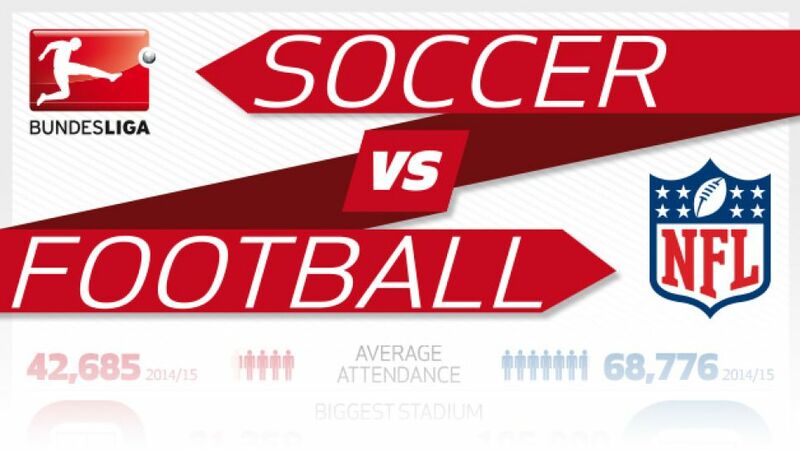 Bundesliga | Soccer vs Football! Cologne - The 2015 NFL began with a bang on Friday as the New England Patriots beat the Pittsburgh Steelers 28-21. To celebrate, bundesliga.com has explored the key records of the Bundesliga and the National Football League, and compiled them in the following graphic.